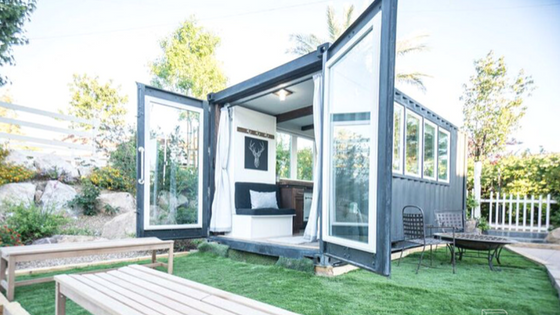 When tiny house living meets shipping container living! 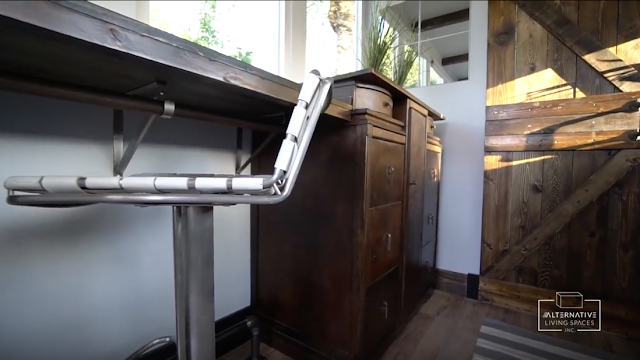 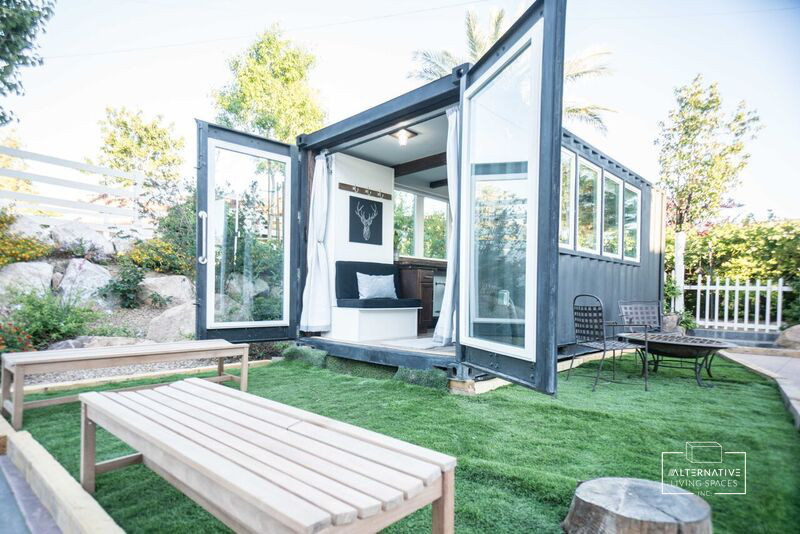 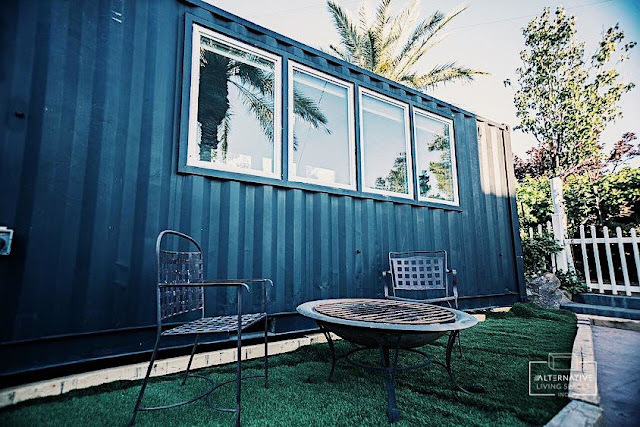 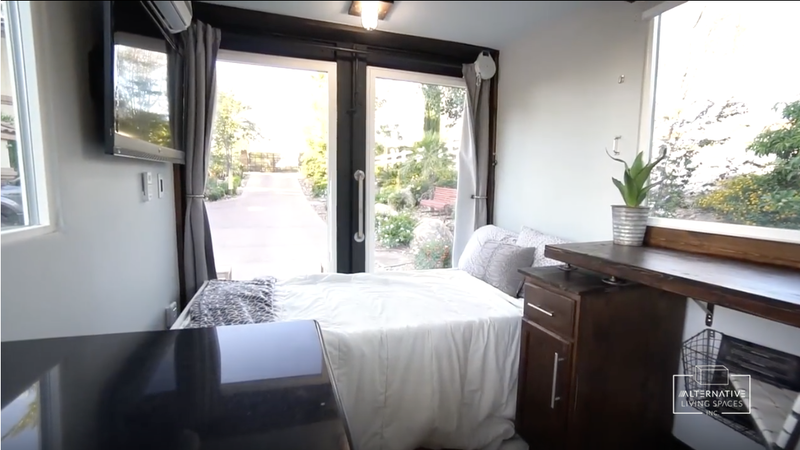 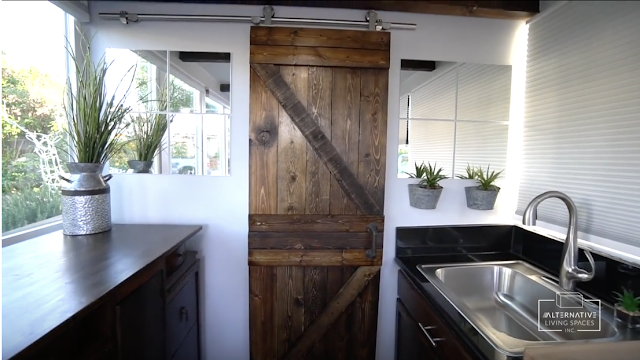 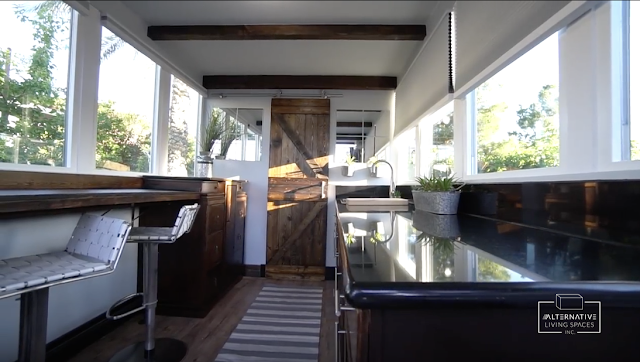 From Alternative Living Spaces of Las Vegas is this gorgeous container home that's as stylish as it is functional. 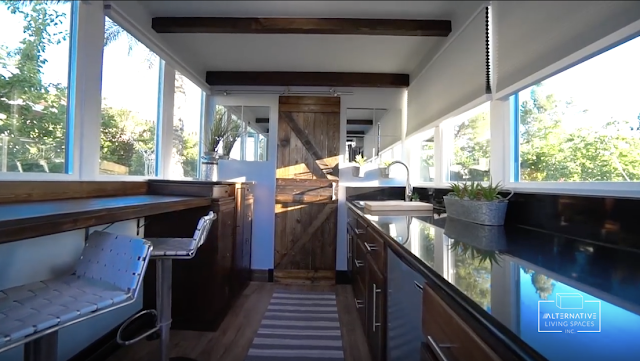 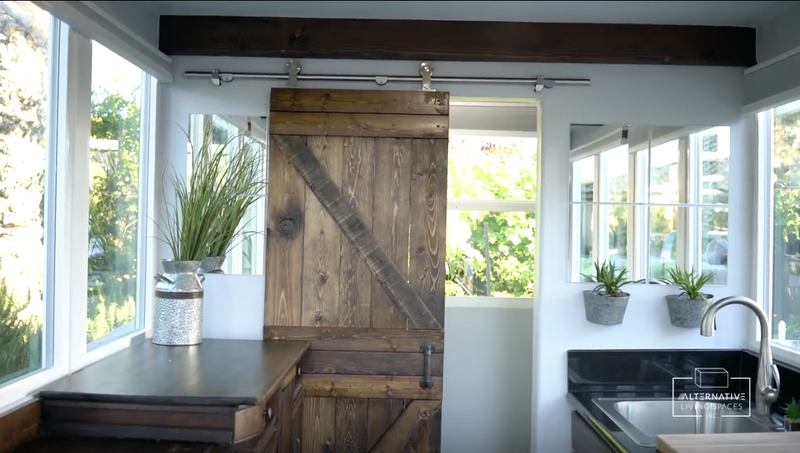 Despite having just 165-sq-ft of space, the home feels a lot more open and spacious in part of the eleven windows and glass double-wide doors. 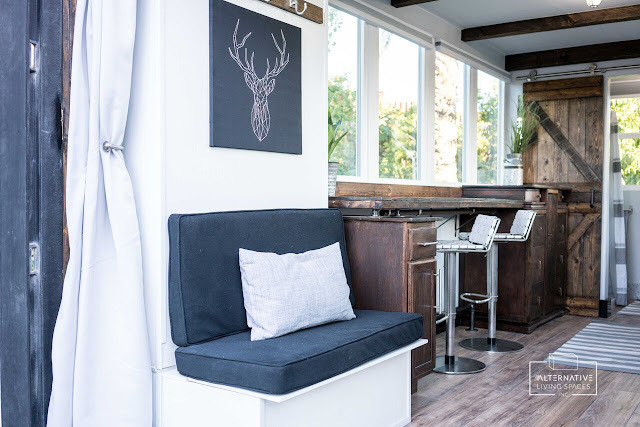 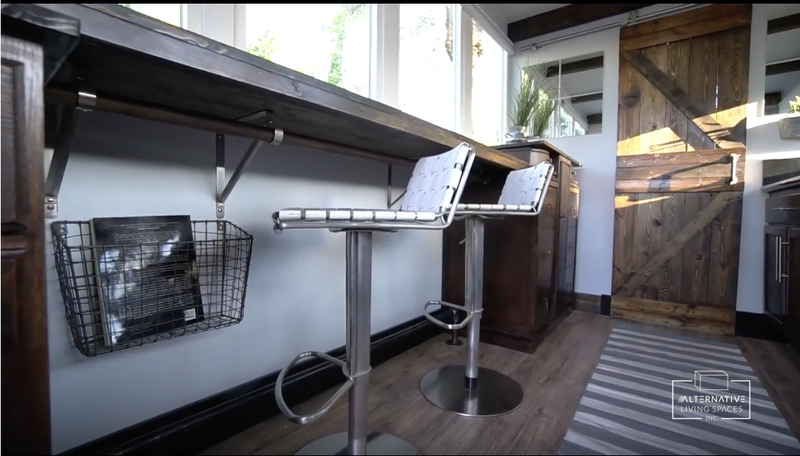 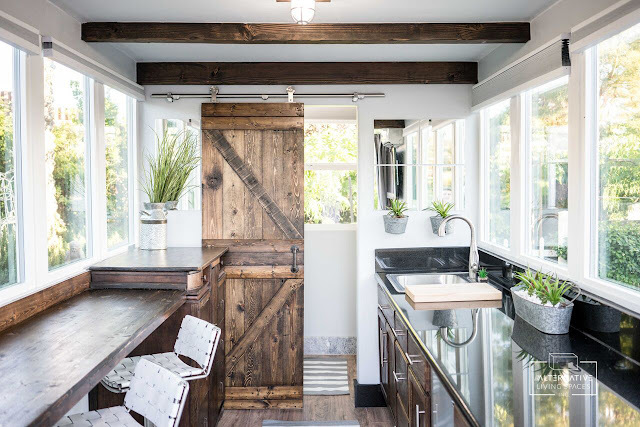 The interior of the home features a modern/industrial aesthetic complete with five wooden beams as a rustic touch. The living room doubles as a bedroom with a Murphy bed that fold down right off the wall and onto the coffee table. 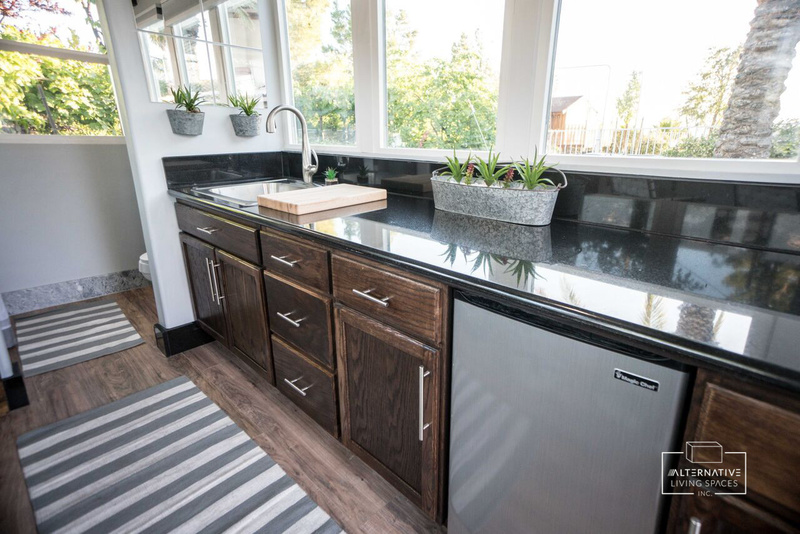 The kitchen comes with a stainless steel fridge and sink, a granite countertop and backsplash, and bar-style dining! This exact home was delivered to client in Sacramento who then added a outdoor seating and a fire pit. For more information about this container home or its builder, reach out to Alternative Living Spaces here!